Elizabeth Reaser says watching Robert Pattinson and Kristen Stewart shoot Edward and Bella’s wedding scene in ‘Breaking Dawn’ was intense — and it felt like real life! 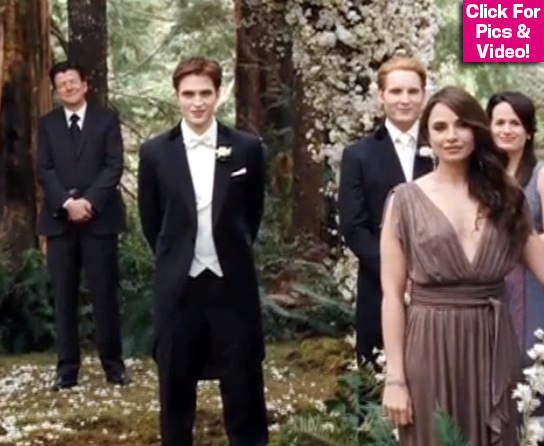 Bella Swan and Edward Cullen's Wedding is one of the most anticipated film scenes of the year. Elizabeth Reaser, who plays Esme Cullen, dished about the coveted moment, saying Kristen Stewart and Robert Pattinson were so believable as bride and groom, they made the rest of the cast emotional! Not only were emotions running high during the shoot, but so were the stress levels.